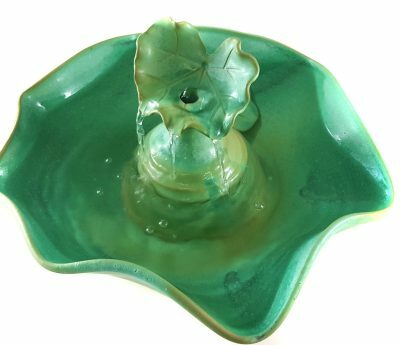 The glaze for this lovely cat water fountain is our new Antique Green which is a matte glaze with bronze highlights, here on an Arabesque bowl which was wheel-thrown then formed into this curvy form. Please click the images for a closer view. 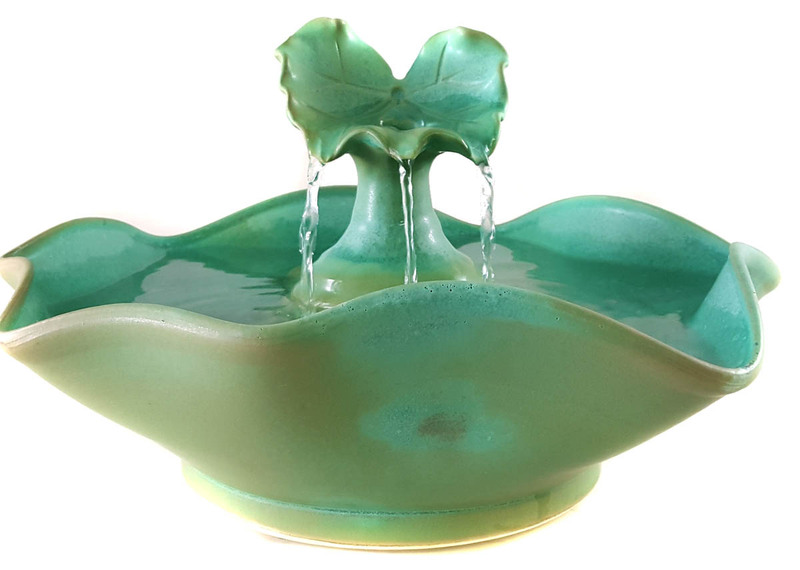 Water flows up onto the leaf and into the bowl in three streams and no splash. 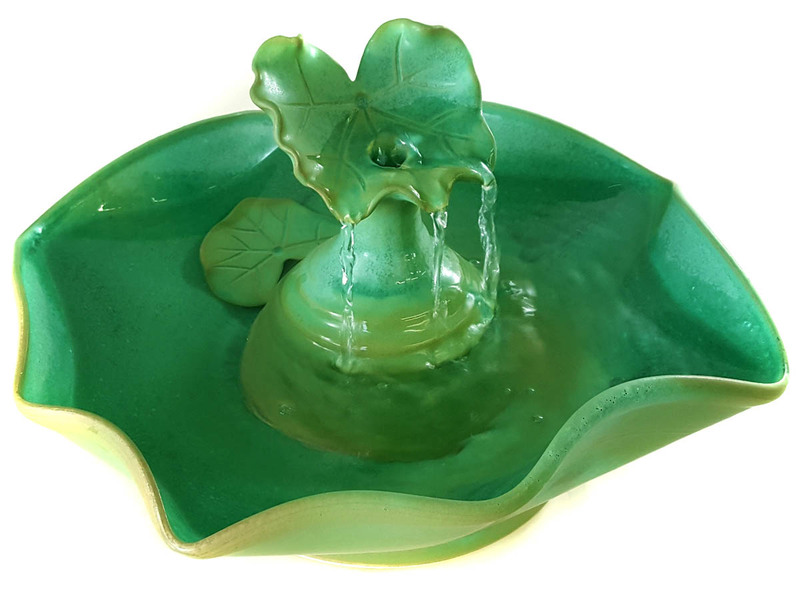 Your pets can drink from the leaf, the streams and from the bowl. Excellent for longhair cats, cats wanting a stream and any cat with good taste. Beautiful for your home as well. * 3.25 inches high and 13 inches in diameter.